Located in the stunning Boca Chica village in the Dominican Republic, BelleVue Dominican Bay is only a short distance from the picture-perfect Boca Chica beach that’s famous for snorkelling opportunities. Whether you want to lounge in the tranquil surroundings of the beach or experience the vibrant nightlife of neighbouring Santo Domingo, this luxury hotel is the perfect place to stay in the resort. 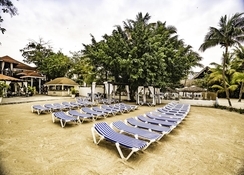 The hotel provides fantastic on-site facilities including disco at the beach, two swimming pools, two tennis courts, an aerobics and aqua gym, table games like pool and table tennis, along with separate children’s areas and a host of recreational activities at the mini club. For activity lovers, the hotel also offers horse riding, water sports and golf. 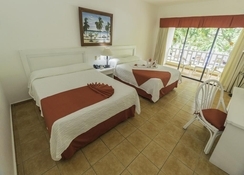 Apart from the comfortable Caribbean accommodation in well-furnished rooms, the hotel offers a choice of three two bars and three restaurants on-site that stay open late into the night, affording guests the opportunity to enjoy the famous Caribbean culture and food. 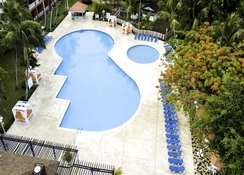 Bellevue Dominican Bay is conveniently nestled in Boca Chica, Dominican Republic. Most of the shops, restaurants and cinemas are within easy reach from the hotel. The nearest beach is just four blocks from the property. Santo Domingo Airport is only 11.8km, making it convenient for the guests to board their flights on time. Bellevue Dominican Bay features 365 guestrooms. 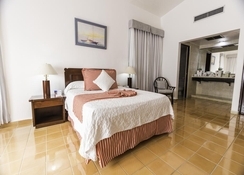 All the units are air-conditioned and provide two double beds, minibar, a private bathroom with showers and bathtub and an attached balcony that overlooks the hotel gardens or the swimming pools. While each room can accommodate a maximum of four people (three adults and a child), large groups can opt for interconnecting rooms. Also, wireless internet access (surcharge) and cable programming is provided to keep the guests connected and entertained. Guests at BelleVue Dominican Bay can enjoy a variety of dining options, including Caribbean, Italian, Chinese and international cuisine. A variety of drinks and delicacies are available at any of the two bars and three restaurants that serve till late night. 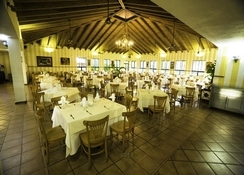 The Caribbean is an a la carte restaurant that specialises in Caribbean food; Spiaggia is famed for its Italian cuisines, the Chinese Garden provides Chinese cuisines, while Hibiscus is the buffet restaurant where guests can enjoy breakfast, lunch and dinner. Besides the restaurants, the hotel also houses three drinks bars and two snacks bars for daytime services. 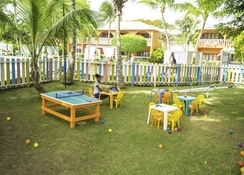 There’s a range of activities both inside the hotel and in the nearby area. 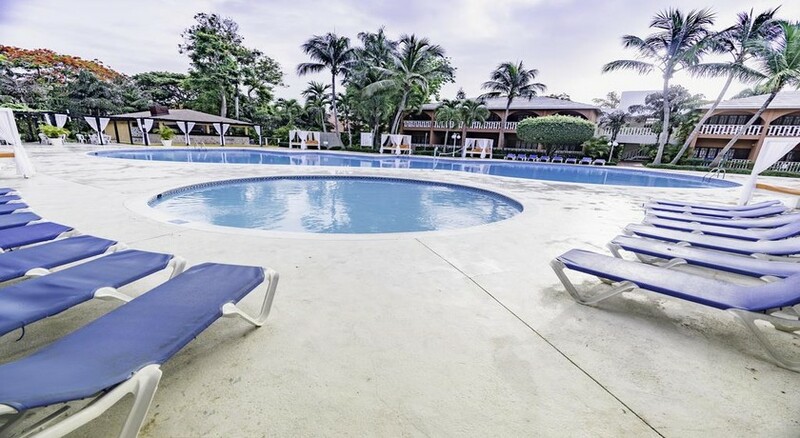 For the energetic ones, BelleVue Dominican Bay accommodates two tennis courts, an aerobics and aqua gym, petanque, archery and table games like pool and table tennis. Guests could even enjoy horse riding, surfing, sailing, fishing and golf for an extra charge or choose to snorkel at the Boca Chica beach known for its clear blue water. Both swimming pools at the hotel have separate children’s areas to allow the young guests to enjoy themselves safely. Those aged between 4 and 12 can even use the mini club to keep themselves entertained. There is a Disco club on the beach, where guests can shake a leg until early hours. Guests can avail other services such as beauty treatments, massages and hairdresser at the Bellevue Dominican Bay. For business travellers, the hotel has two well-equipped convention centres, one of which is located on the beach.